Bergman's work speaks to the viewer with remarkable clarity and forthrightness, creating an extraordinary sense of intimacy between his characters and his audience. And it's this deeply human desire to connect which accounts for the quality of Bergman’s work that has been least recognized: its accessibility. That Bergman’s films exist not simply to be studied, but to be watched—even enjoyed!—is amply confirmed by the Criterion Collection’s definitive new boxset devoted to the director’s work. Ingmar Bergman's Cinema doesn't quite contain everything the Swedish master ever directed—a few early films and television works are missing—but it comes close. The 30-disc set includes 39 of Bergman’s features, a few of his rare shorts, numerous documentaries on his life and work, and a gorgeous 248-page book of photographs and essays. Amazing... thank you for this enormous effort. 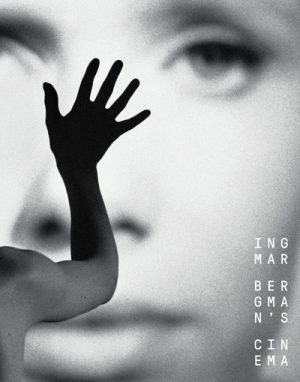 Ingmar.Bergman.Cinema.CC.BluRay03.U.part02.rar doesn't work. Can you reup, please? Many thanks - new filehost seems ok so far! Incomparable! These 39 BluRay-only films, with a couple or three missing gems (ownership permissions, royalties...), represent a magnificent life's work by a master. Criterion has done amazing work in presenting these films (and bonus features). Thank you, movieworld!